This is a double limited gatefold vinyl edition only, which, as a bonus, contains one-sided 7“ EP and a booklet of photos. 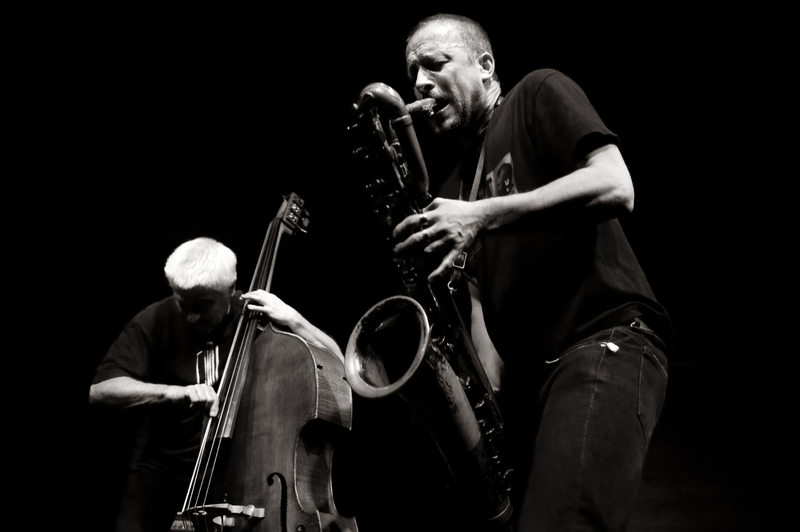 Saxophonist Mats Gustafsson and bassist Barry Guy are each celebrated for their membership in great trios tracing their inspiration to Albert Ayler’s 1964 band: Gustafsson for The Thing, Guy for his 30-year tenure in the Parker-Guy-Lytton Trio. 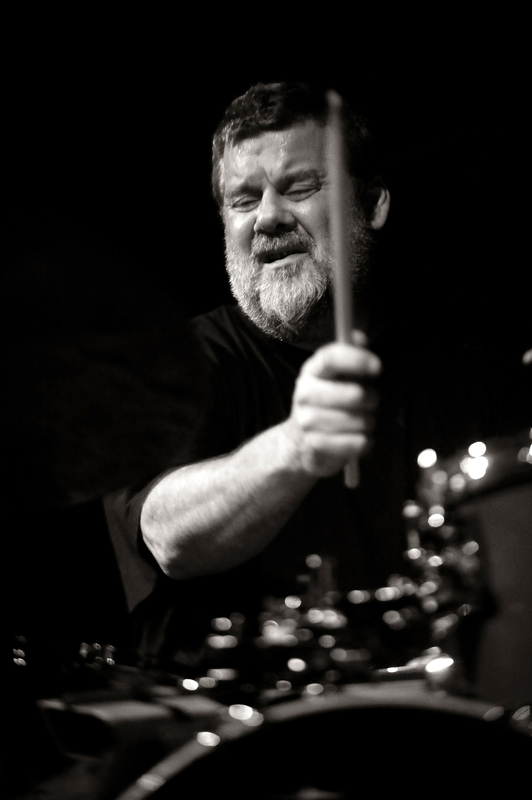 They share membership in another trio: Tarfala with Swedish drummer Raymond Strid. The group first performed together in 1992 and since then have gathered sporadically, releasing two CDs on Guy’s Maya label - You Forgot to Answer, recorded in 1994-95 and Tarfala, 2006. Syzygy presents a 2009 concert from Belgium, released as a vinyl-only, limited-edition two-LP set with an additional EP. 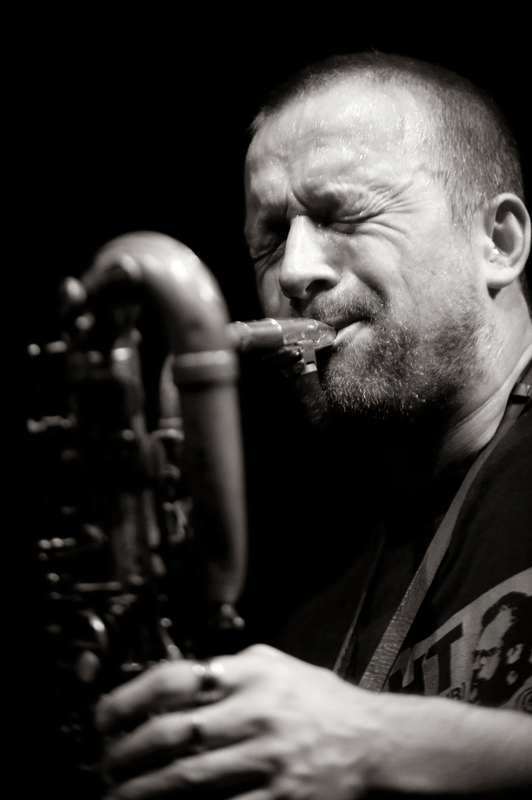 Named for Sweden’s Tarfala Glacier, the group might immediately suggest the sheer auditory power for which Gustafsson is known, almost a force of nature himself. 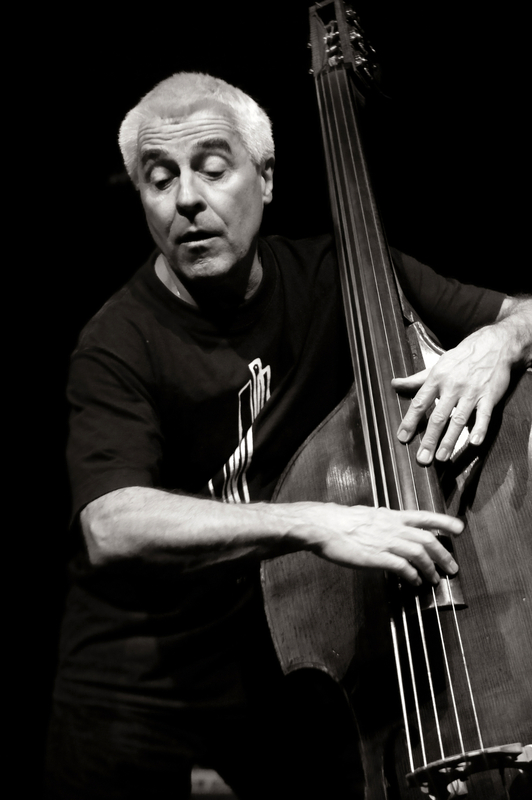 But other natural analogies will suggest themselves for the trio’s music: it can be as delicately variegated as the leaves of a forest or light on water. Strid moves from dense rhythmic overlays to featherlight cymbal shadings and almost alarm-clock rolls; Guy, the fleetest of bassists, finds ways to combine lightning-fast runs with shifting timbres and a host of extended techniques that include ‘prepared’ bass, with multiple shifting bridges. 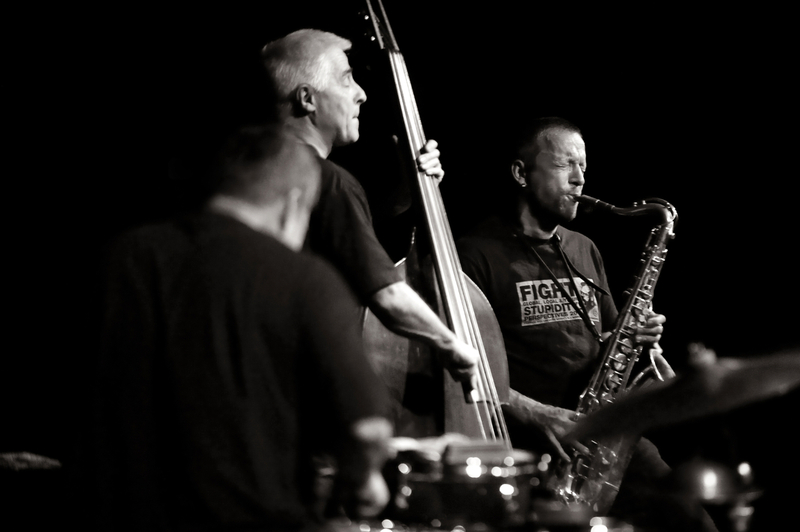 The three can create the quietest atmospheric layerings, as in the introduction to “Cool in Flight” with Gustafsson creating key-pad rhythms, but the dialogue can also launch Gustafsson on heroic expressionist episodes, from roiling highspeed runs and skittering flights into the upper register to some glacially slow, wailing passages: at one point in “Tephra”, he vocalizes through his horn with sufficient passion to suggest a man playing Picasso’s “Guernica” on a tenor saxophone. 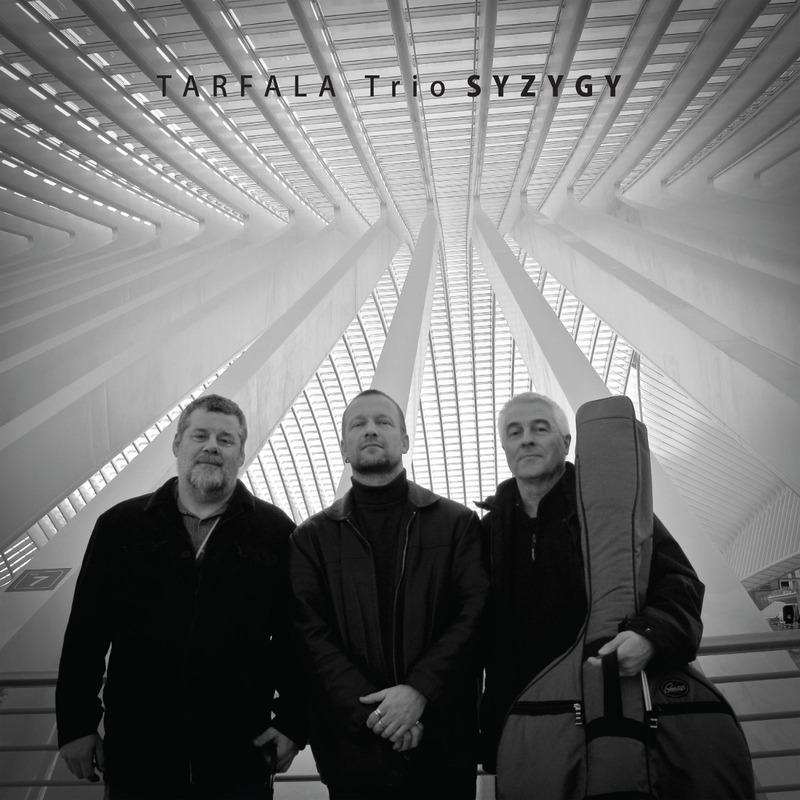 Tarfala Trio may not be a well-known configuration, but when it gets together, it’s one of the great bands in free jazz.